Welcome to DigiBrickz and thanks for visiting! DigiBrickz is a kind of LEGO blog but dedicated only for Digital or Virtual build (LDD, LDraw, Mecabricks, Stud.io, Digital Render, etc.). In here, you can also find creations, tips, techniques, and articles of LEGO in Digital. If you like what we do and you want to support us, you can simply do that by follow us on social media. Like DigiBrickz on Facebook and follow us on Twitter and Instagram. Please note: DigiBrickz is not related to, supported, or endorsed by The LEGO Group. My name is Kamal Muftie Yafi but I mainly known as KamalMYafi or Kamteey on some LEGO community. I’m an Indonesian Digital LEGO Designer & Builder, also a LEGO Enthusiast. I am just the one who run and control this blog, I haven’t add any other staff yet.. I started to play LEGO in Digital, because I just have many Technic sets (because I like it), so if I want to make creations with ‘bricks’ I should use digital LEGO building app or nothing. You can see my real life sets collection here and you can see my newest digital creations in My flickr. 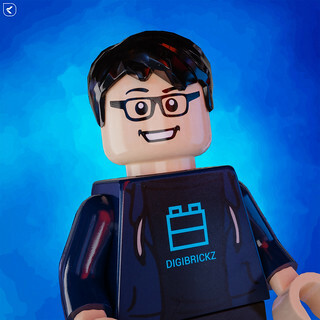 I choose to start DigiBrickz as there are no Digital or Virtual LEGO blog, and many LEGO blogs are rarely to feature digital or virtual creation, tips, news, and many more… As a digital or virtual LEGO builder, I think I have to start one. DigiBrickz aim is to connect Digital LEGO Fans around the world with creations, tips, and other news about LEGO in Digital or Virtual. As you can see, I am not English native from my residence, so please excuse me if I made some grammar mistakes. Feel free to write in the comments if you find any.